Mix the Dairy Products together in freezing container of an ice cream freezer. Freeze according to manufacturer’s directions. If using frozen Berries, use straight from the bag. DO NOT DEFROST! 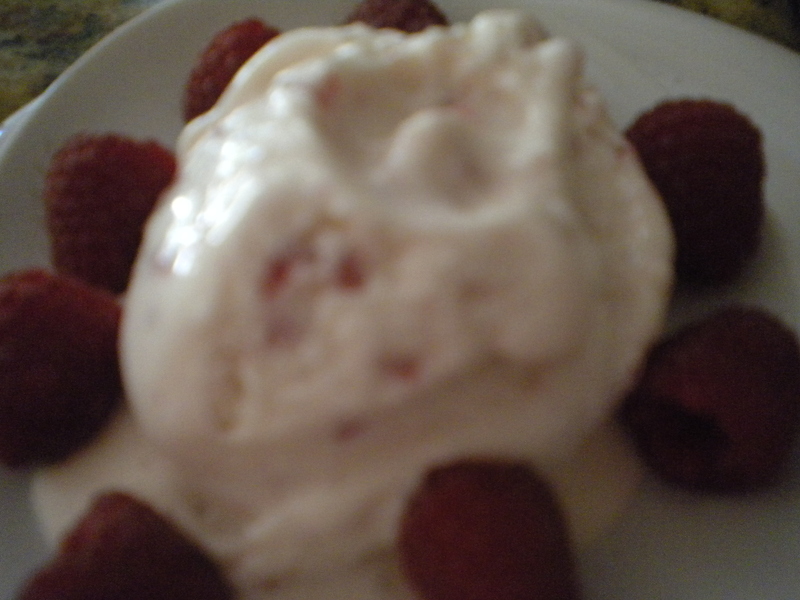 When the Cream is almost frozen, add the Berries and continue the freezing process until the desired consistency has been reached. Pack in Salt and Ice (or place in freezer) for one hour or more after freezing. 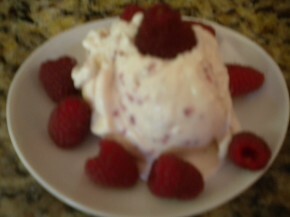 Serve with additional fresh Raspberries. Purchase the Half and Half in a pint (2 cup) carton.